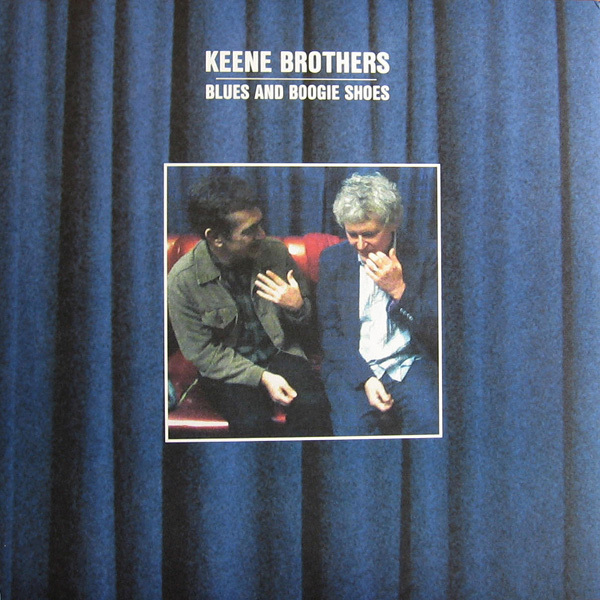 Blues and Boogies Shoes, the collaborative effort between power-pop mainstay Tommy Keene and Robert Pollard, stands as the lone, strikingly solid effort to date between the two songsmiths. The pair began working together when Tommy Keens joined Pollard's solo touring act following Pollard's 2006 LP From a Compound Eye. Following the solo tour, this LP hit the stores the same day as two additional Fading Captain Series full-length LPs (All That Is Holy and Turn To Red). Blues and Boogie Shoes, despite its horrendous title, remains the clear winner of the side-project bundle of Pollard LPs released on the fateful day of May 2, 2006. Evil Vs. Evil- 3 50 second heavier opening that boarders somewhere between '00s period Gilliard-esqe GBV stuff, and subtly hooky Pollard days of the past. Death of the Party- 4 Light, crisp guitar jangle with smooth harmonies by Pollard. Has a '70s AM radio-pop cheese about it, similar to a bearable Fleetwood Mac song but without all the coke lines. Beauty of the Draft- 4 Another light, '00s GBV sounding track that fits perfectly in with Pollard’s vocal melody. The solo is kind of on the cheese side, sounding like it’s coming straight from the closing scenes of a melodramatic sitcom canceled after three episodes. BUT, the song is reportedly begin renewed. Island of Lost Lucys- 3 Elfin guitar picking, over fay, moody hopefulness in the background. Easy listening, but with some rather solid hooks. Lost Upon Us- 4 Optimistic guitar chords over mid-tempo pop. Pollard does a great job with the melodies, but the drum machines and airiness give it a slight made-for-tv movie feel. Still, the hooks cut deeper than the cloying nature of the track. Heaven’s Gate- 3 More successful than the cult and much shorter than the film. Mid-tempo, pop rocker with some kick to it. Unfortunately, there’s some dated synth work in there, but the hooks and tempo are just enough to over look such studio wankery. The Naked Wall- 4 Utterly optimistic, power-pop with some potent choruses. Interesting, minor chord spiraling bridge too. Unfortunately, Pollard gets a little ick-worthy with the lyrics here. Don’t let it distract you. Song’s hooky enough to overlook. The Camouflaged Friend- 3 I guess Pollard got lazy here. Did Tommy Keene get this track back from Bob and shrug, “where's the vocals.” Pollard is either asleep on the john, or recording another 8 albums somewhere in Ohio. This one does work as an instrumental, with so many lead guitar melodies going off, but doesn’t stand-out as anything of great importance. Must Engage- 2 Mid-tempo, drab pop with little in the effort department on Pollard’s part. One of the few spots on the LP where both guys seem to be at a loss for inspiration. This Time Do You Feel It?- 3 I don’t think that’s a proper sentence. Piano chops abound over rolling toms and guitar hits, giving this song a rather immediate, and impending feel. Mini-slow going anthem that works, just enough. Blue Shadow- 4 Respectable closer to one of the stronger side-project efforts. Anthemic, slightly long-winded with pop guitar jangle and driving, steady bass. Pollard put his shoulder into it with a decent melodic hook, but with some uninspired lyrics. Lead guitar riff is quite classic era-GBV inspired. i love this album. great guitar sound, pollard's singing sounds engaged. nothing wrong w/ the occasional instrumental. "this time do you feel it" should be a 5! Does anyone Know how many vinyl copies were pressed? Yes, this is available on LP. Last I checked, Rockathon had copies, although it was a few months ago. Great record!